Cowes Harbour is a Trust Port, which means it has no shareholders or other owners, but is managed for the benefit of its users, or ‘stakeholders’. It is run by a Commission of 10 Harbour Commissioners appointed through a public selection process, who give their time on a voluntary basis. The Commissioners appoint a Harbour Master, to whom day-to-day responsibility for running the harbour and the harbour team is delegated. 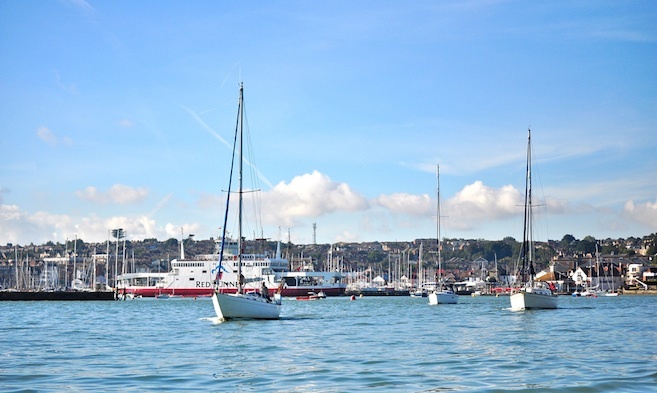 Cowes Harbour Commission's main function is to be the Statutory Harbour Authority for Cowes and to undertake commercial activities, so that it can be self-financing, both of which are explained in more detail below. As the Commission has no shareholders, any surplus funds raised through its activities are reinvested back into the harbour and its facilities, to the benefit of its harbour users, or ‘stakeholders’. To ensure the views of our stakeholders are properly taken into account we have a Harbour Advisory Committee, comprised of representatives of our key stakeholder groups, such as yacht clubs, local business leaders and representatives of both Town and County Councils. As a publicly accountable body, the Commission strives to ensure that it maintains proper standards of transparency, accountability, integrity and honesty, as befits the important role we perform. You can read more detail about this on our Governance pages. We have a clear policy, as set out in our latest Strategic Plan 2016-2021, to support and encourage the local economy. The Commissioners are always keen to listen to the views of our stakeholders about improvements or projects they would like to see us undertake for the benefit of our harbour users. We are happy to give consideration to those which fall within our remit. If you have some suggestions or comments, please Contact Us via the Harbour Office, or through your representative on the Advisory Committee, if you would prefer. Levying and collecting harbour dues. Maintaining an ‘open port’ policy, available to all users. The safe management of harbour activities, in compliance with the ‘Port Marine Safety Code’. Maintaining navigational aids and hydrographic surveys, navigational control, policing and Notices to Mariners. Monitoring and working to protect the environment, with a view to conservation. Oil pollution control and waste management. Works and dredge licence consents. : (Cowes Harbour Services) Annual licenced moorings; pontoon, pile, and swinging. Visitor moorings; swinging moorings, event moorings, and river pontoons, Trinity Landing and Town Quay. : (Cowes Harbour Shepards Marina) Visitor and residential marina, dayboat sailing centre, and dry sailing facilities. Onsite Events Centre and independent marine businesses. Events Centre: (Cowes Harbour Shepards Marina) The Sugar Store Events Centre is a unique waterfront events venue on the seafront at Shepards Marina. (Cowes Harbour Services) Extensive boatyard facilities, with 40t boat hoist. Onsite independent marine trades. Storage: (Cowes Harbour Services) The new Cowes Harbour Storage facility offers secure self-storage units for rental at the Cowes Harbour Services Boatyard. (Cowes Harbour Services) Harbour maintenance and commercial marine contract service provider. Commercial units for lease. Fuel berth: Deep draught fuel pontoon on the River Medina, 200m south of the Chain Ferry.